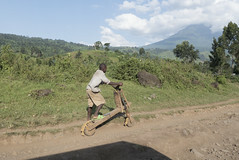 The Virunga National Park in the eastern Democratic Republic of the Congo, cannot solve the big poverty problems in DRC. However, the park and its visitors have a rather positive effect for those living in its surrounding. More linking between tourism, conservation and community involvement could help further.